For a long, long time - every month I would eagerly await my beauty box. Whether it be from Glossybox or most recently, Birchbox. I would be excited to read everyone elses' spoilers before mine arrived. Either hoping I'd get something different or hoping I'd get the same. To be honest - I think I quite often received the booby box. After a phase of not so great boxes, I decided to cancel my subscriptions. 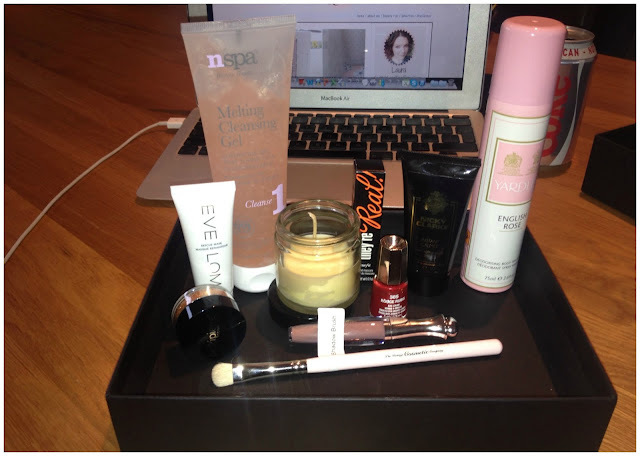 However, this month I was browsing on the Latest in Beauty website (as I do regularly) and decided to treat myself to the 'Editor's Picks' box. 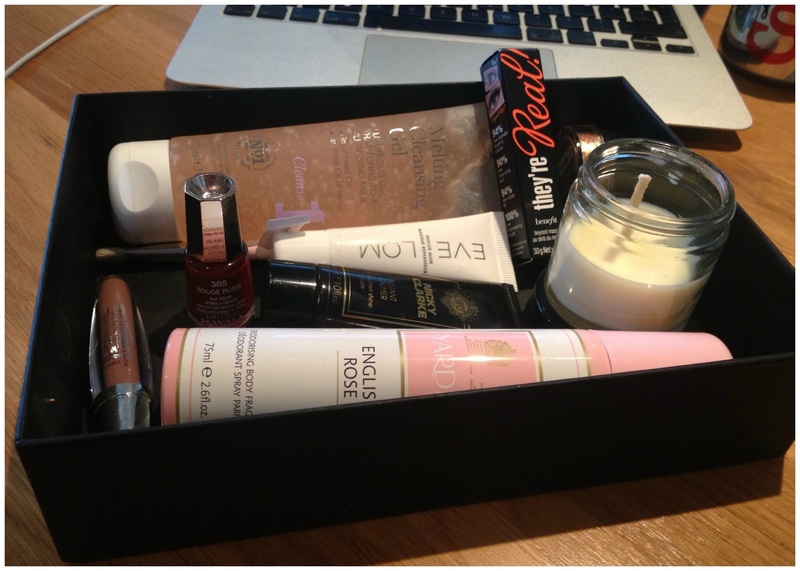 Don't get me wrong, I can find these boxes to be quite repetitive but this month I was pleasantly pleased with what they were offering - a little box to pamper yourself and whats more they had a sale on. Normally the LIB boxes are about £19.50 but this month they have a sale on and I got 10 items for £12.95! Even without the sale though, you do get a lot of full sized products or at least, decent sample sizes. The Vintage Cosmetics Company - Shadow Brush Who doesn't love a new makeup brush? Mirrenesse - Lip Gloss Little disappointed I was sent a mauve shade, however you take what you get. The formula is a little sticky. AS London Candle Hand made and infused with essential oils, this smells fabulous. Tis a fab box! I was tempted but I have half of the items from it so I can't quite bring myself to get it. Oh wow, you got a lot of great products! I LOVE that mascara so much! Oo i want this, going to sign up now! Sceptical about 'They're Real', i've heard some bad things about it! This looks pretty good, I must admit :) I have gone off beauty boxes in general but this does look one of the better ones. I completely agree they can be very repetitive. I'd be miffed if I had a subscription and got the same stuff all the time. I agree with Sam (above) I really like LIB but a bit disappointed that there are only two 'new' products in this box, would love to see a review on the melting cleansing gel though! Hmm...that looks like an excellent box!! I cancelled my Glossybox as well! Not very happy with what they were sending and I would always get mine LATE!! Ooh I like that you received a candle in your box. Never seen one in a box. That's awesome! 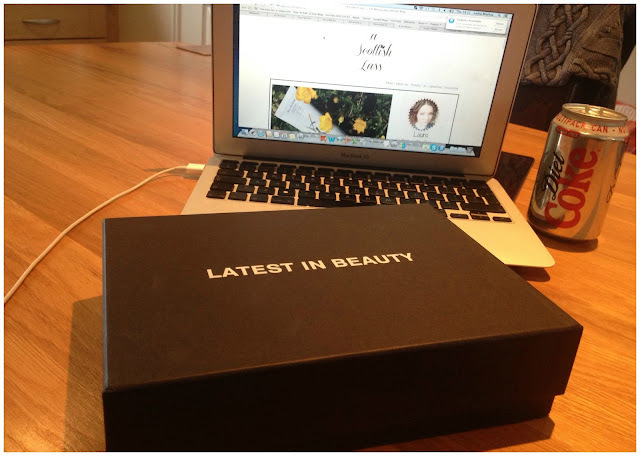 This looks like such a lovely box, well worth the money! You received some really wonderful products! So lucky you were able to get them at such a cheap price too. WOW!! That's a great box! !